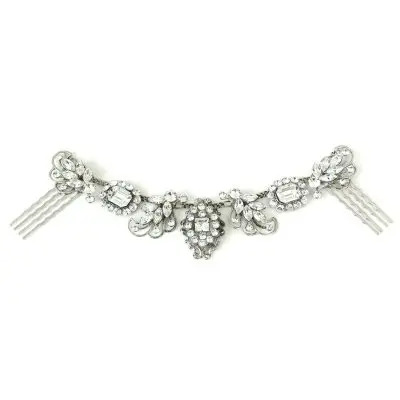 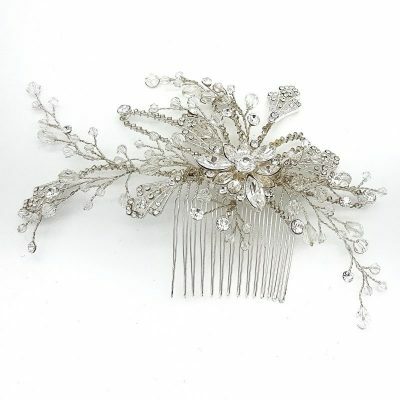 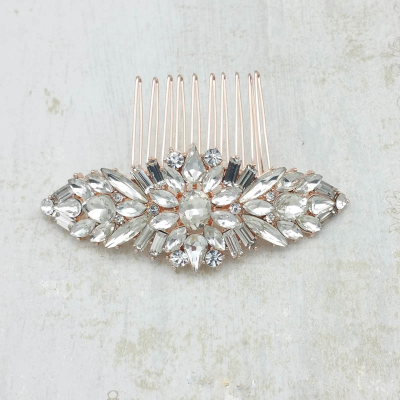 Hair Combs - The perfect accessory for brides and bridesmaids. 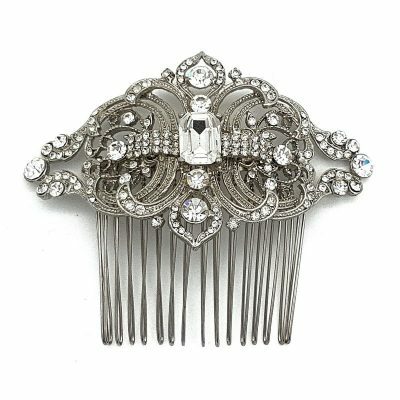 Hair combs are the most popular of all our hair accessories. 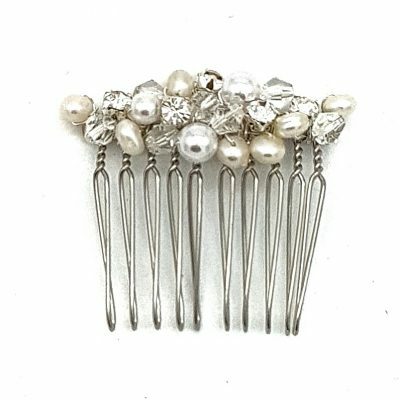 They are also our largest collection of all our hair accessories. 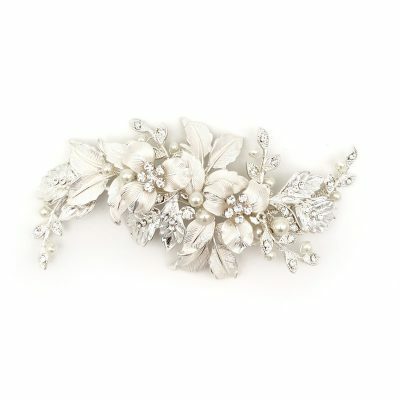 They offer such a beautiful detail from every angle which is perfect for the ceremony and the photos. 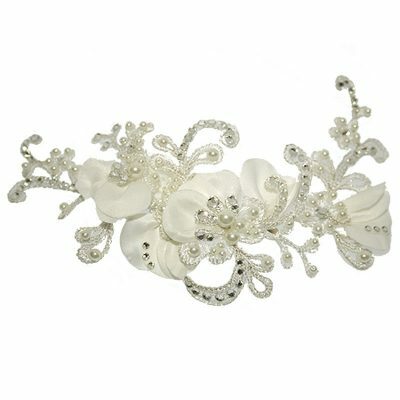 Most brides choose their dress first and then work out their accessories. 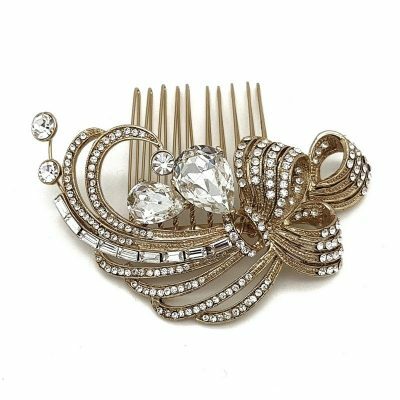 We recommend brides to decide on their hair and accessories first and then work back their other pieces. 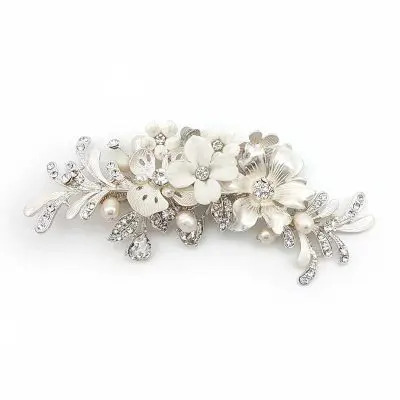 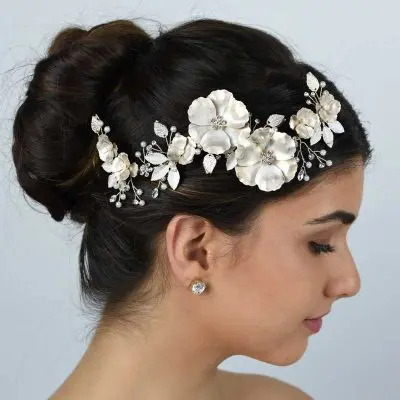 Almost every bride is wearing hair accessories these days as they are just stunning. 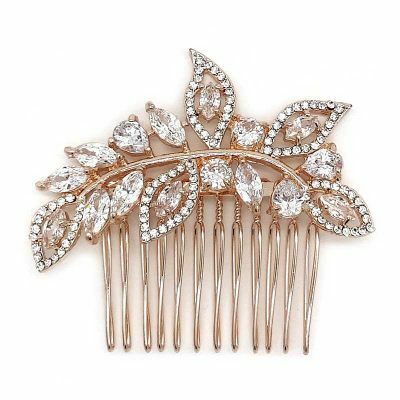 Plus who needs a better excuse to buy more jewels. 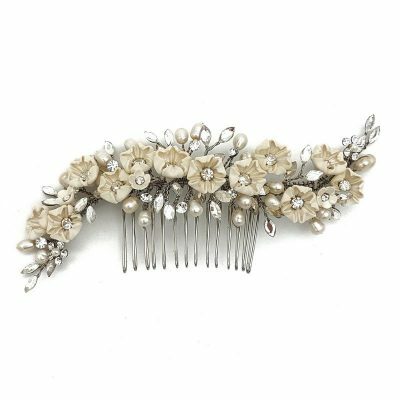 Even if you’re wanting to wear a veil, chances are that you won’t be wearing it for the reception which is why hair combs are so perfect. 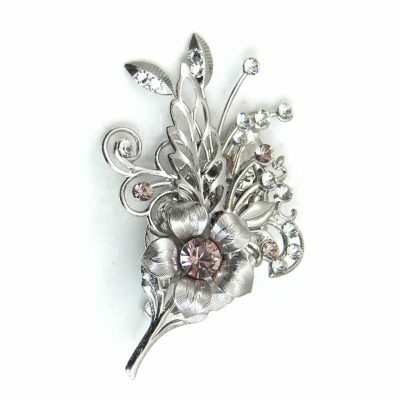 Our collection is available in a variety of plating’s, gold, rose gold, silver and rhodium silver. 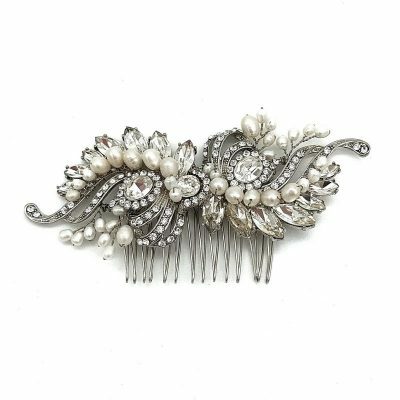 The embellishments vary including Swarovski Crystals, lace, pearls, rhinestones, glass beads, diamante’s, feathers, silk and more. 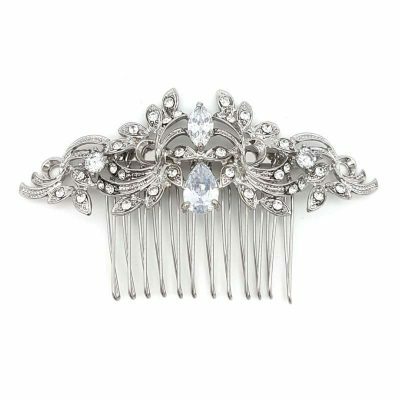 We pride ourselves of having such a great range of hair combs. 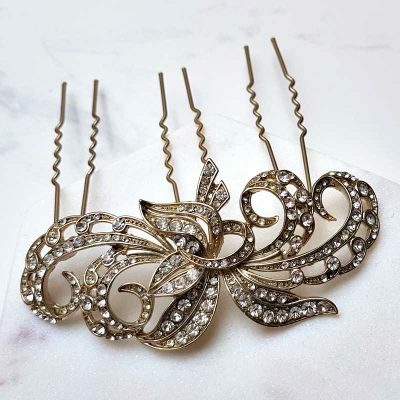 If for some reason we don’t have what you’re after, let us know and we will do our best to source it for you.